Since the tragedy at the Sandy Hook Elementary school, there has been a lot more attention placed on tougher gun control. President Obama stated in his last 2012 election debate that he wanted an assault weapons ban in his next term in office. It seems hypocritical that he is allowed to have people carrying assault weapons to defend his family, but he doesn’t want me to be able to have an assault weapon to be able to defend my family. Is this what they call executive privilege? I really don’t see how placing a ban is going to stop people getting killed. That is what this is about, keeping people from being killed, isn’t it? People are killed by lots of ways, not just by guns. The CDC has a report on 75 years of mortality in the US. Guess what’s not on the top of that list? This argument of preventing responsible law abiding people like myself from being able to buy certain types of guns and magazines of certain capacity makes no sense to me. Shouldn’t we be doing something to hinder the criminals who do the killings and not the people who obey the laws? Laws are for people who choose to obey them. Making a law to stop a criminal is like using a window screen to keep out cold air. I propose that if we are going to try to put a stop to senseless killings, why not take it another step and make another ridiculous ban on something that kills people. Drunk driving. If you ban the sale of hard liquor (parallel with assault weapons) and ban the sale of any more than a two pack of beer (parallel with the sale of high capacity magazines because 2 drinks tend to be what keep you below the .08% blood alcohol limit for legally driving), then that will keep people from driving drunk. Makes sense right? Here is the picture I am trying to draw here. I like shooting guns. Firing an assault weapon is fun, especially when you have a 30 round clip. You can just keep pulling the trigger and destroy the paper target, soda can, or what ever non leathal target it is you are shooting at. Its fun and no body gets hurt. I don’t drink (personal reasons but nothing against those that do), but I’ll try to draw a comparison. There are plenty of people who enjoy alcohol responsibly. Yet there are those who enjoy it irresponsibly. The irresponsible ones are the ones who drive while under the influence and cause a death because of it. Just as there are people who enjoy drinking responsibly, there are people who also enjoy using assault weapons with high capacity magazines responsibly. In the United States, the number one cause of death for the last 75 years is heart disease. Personally, I believe that if you are wanting to make a difference in saving lives, start with what causes the most deaths to see if you can cut a chunk out of that. (Something that doesn’t make sense to me is that breast cancer awareness is more popular than heart disease prevention which is the number one killer of women). So maybe we should create laws that influence heart disease deaths by banning the sales of sugary foods and drinks, banning cigarette smoking, banning not exercising, and obesity. All of those things can be culprits for heart disease. Seeing as how the government is having to foot the bill for the healthcare of people who have allowed themselves to become unhealthy by their lifestyle and get heart disease, then the government should intervene in people’s lives so they won’t have to pay for people’s bad decisions. [No I’m no being serious but its for the sake of argument]. In the USA in 2010, there were 10,228 [reference per DOT] total fatalities for vehicles involved in crashes associated with a driver who’s blood alcohol was at least .08%. That is about 31% of all vehicle crash related fatalities. In the USA in 2010, there were 11,078 [reference per CDC] total fatalities for homicides by discharge of firearm out of a total of 16,259 [reference per CDC] homicides which is about 68% of all homicides. Wow, that’s also a lot of people who are dying because of alcohol and driving, only 850 less than people being killed with guns. This won’t result in a ban of alcohol sales or vehicle sales, or even talk about it on the news media. So why should we do something only to ban guns when there is a similar amount of senseless deaths going on with DUI deaths? There is no logical sense to do it. Guns are not dangerous. If they are, then vehicles are more dangerous because in 2010 there were 35,332 [reference per CDC] deaths associated with vehicle accidents. I grew up with many guns in my home. My dad taught me how to shoot a gun and respect guns before I was old enough to read well. No one got shot in my home, and no gun accidentally went off either. Our guns were not locked up, they were just in closet of the bathroom my brother and I used. People who claim that guns are dangerous, and we should do away with them are just ignorant [definition]. That’s not to be mean or make fun of them, but that is the correct term to show their lack of knowledge or experience with guns to be able to come to a logical conclusion. Lack of familiarity causes fear, which drives a lot of people who want to get rid of guns. Who is dangerous is the criminals who may or may not be using guns. People say that there is no need for an assault weapon to go hunting. That’s true. People are also saying that assault weapons are only made for killing people. I’ll give you that too. That is why I would own an assault rifle, to kill people who are trying to hurt me or my family. An assault rifle will do it much more effectively than a bolt action hunting rifle will do. I have no intention to go out and kill people, but if someone comes into my home looking for trouble, they’ll get it at about 2700 ft/sec. If you haven’t heard it before, I will say it again. Gun laws only effect those of us who obey the law. People who go on mass shootings are showing their blatant disregard for the law by shooting people, what good would a speed bump like a gun law do to keep them from their objective of spreading terror. Its not just that I don’t want to lose my rights as an American citizen to be able to own a weapon, its that this idea of creating MORE gun laws is going to do nothing to solve the problem of people shooting other people. Mike Huckabee has made some of the best remarks I’ve heard recently about tackling the issue of what happened in CT.
We don’t have a gun problem, we have a morality problem. Even if you took up all the guns in the country, you’d still have people wanting to kill other people. It hass been going on since Cain and Abel, and will continue until the end of human history. If there’s not a gun to kill a room full of people, several pipe bombs will do the trick. So will a large vehicle plowing into a crowd of people. I’m not trying to plead my case just because I don’t want to lose my guns, but because spending time making more gun laws, (which we already have plenty of) will not solve the problem of people killing people. You can’t legislate morality. 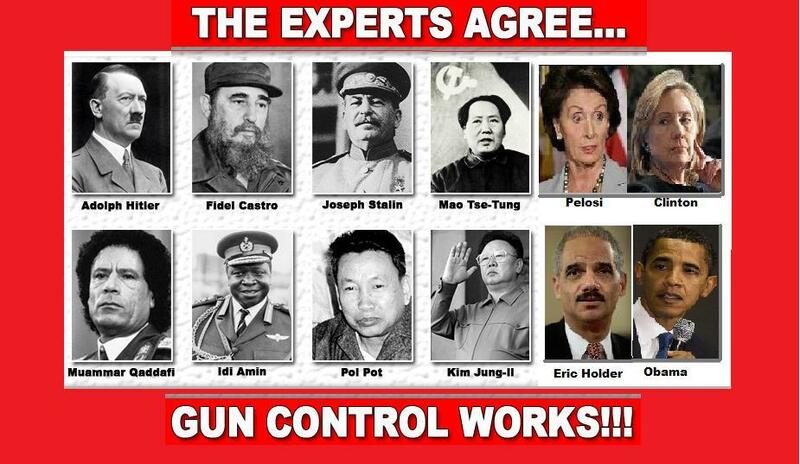 Read your history about dictators that didn’t allow guns. They are not a civilization I would have wanted to be a part of. Starting conspiracy theory rant now. Its my fear that episodes like this are being exploited by radicals who want to get guns out of the hands of citizenry so that they can’t be opposed. When people don’t educate themselves about what is really being done, their freedoms will be pulled right out from under them without even realizing it. Call me crazy, but with the rapid increase in shootings that are getting attention, I wouldn’t put it past a radical agenda of some kind to be behind this to make us lose our right to bear arms. Make no doubt about it. If someone ever decides to invade my home to threaten me or my family, I will use lethal force to defend myself and my family. I hope that day never comes, but I will be ready for it.